When a certified dental hygienist performs teeth cleaning, the main purpose is to remove plaque build-up, tartar, and food debris. They use dental tools such as scrapers and ultrasonic instruments to loosen tartar and wash them away. But, there are ways to clean your own teeth like a pro! Floss to scrape the parts of your teeth your toothbrush cannot reach. This means you have to floss between your teeth and the back part of your last tooth. Here are tips when using traditional floss. Hold the long string with your forefinger and thumb in both hands and leave about two to three inches gap between your thumbs. It will be easier to maneuver the floss using this technique. Floss between teeth, in a zigzag motion. Go down to the bottom and scrape up and down against the tooth on the right side, then to the left side. Wrap the tooth with the floss (in a C-shape) to clean up each side of the tooth. 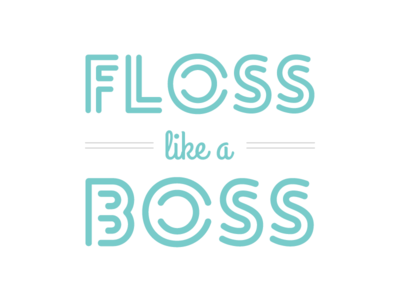 You can use the traditional long string floss, flosser toothpick or any well-rated water flosser. If you have dental appliances like brace use special orthodontic floss. It has an archwire which can easily move under your braces. Proper brushing means thoroughly cleaning every section-including the outer and inner spaces of your upper and lower teeth. Brush the top surface of each tooth and don’t forget to clean your tongue to remove the bacteria that causes bad breath. Here are tips to make sure that each tooth is sparkly clean! Don’t just brush your teeth in an up and down motion. Slant the brush at a 45-degree angle against your gumline, brush your tooth back and forth, roll it, sweep it and repeat on the next tooth. Use a small-headed and soft-bristled brush to effectively reach all areas of your mouth and remove plaque and debris from hard-to-reach teeth. You can use a powered toothbrush if you have difficulty brushing. Replace the toothbrush every three months or less to ensure that you dispose of them before they show wear. Brushing and flossing your teeth may not be enough because they may only clean the visible and easy to reach areas of your teeth. You need basic dental tools like a dental mirror, scraper/plaque remover to quickly remove plaque and tartar from your teeth. You can purchase plaque remover set or dental hygiene kit containing dental cleaning tools. While these tools are not substitutes for dental cleaning, they could lessen tartar and help you maintain good dental health while waiting for your next dental visit. Don’t let plaque build up in your mouth. They contain invisible masses of harmful germs that could cause periodontal diseases like gingivitis, tooth loss, and serious health complications. Brush, floss or use tartar remover kit today!